The Mill Race Theatrical Company is a part of the Mill Race Village in the art district of Mount Holly, NJ. We are located at 30 Church Street, Mount Holly, NJ 08060 close to Route 295, Route 38, the New Jersey Turnpike, and NJ Transit. Free, off-street parking is available at our theater. Please drive to the Church Street entrance and park on the left side of the building. 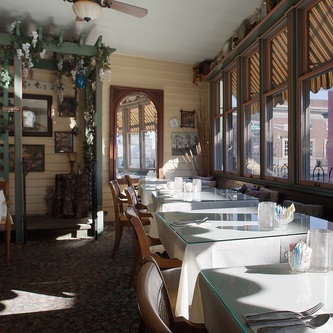 Come visit the historic Robin's Nest Restaurant and enjoy a delicious lunch, intimate dinner, relaxing Sunday brunch or evening cocktail in an old fashioned bar. Sample our interesting, eclectic cuisine peppered with a French American flair. Vincent's Homemade Ice Cream is made fresh using the finest ingredients and seasonal fruit flavors. Stop in and sample the goodness.